The modern open plan kitchen with separate scullery is open plan to dining and living area with enclosed fireplace. The adjoining tv room also has a fireplace, all leading out onto the undercover patio and immaculate garden with fenced swimming pool. There is a separate pool room and built in braai area. Additional family and guest bathroom. Excellent security includes alarm, electric fence and garden beams. Kindly note: The House-keeper and Gardener must be retained as part of the “package” and this will be an additional R 10 000-00 per month on top of the rent. 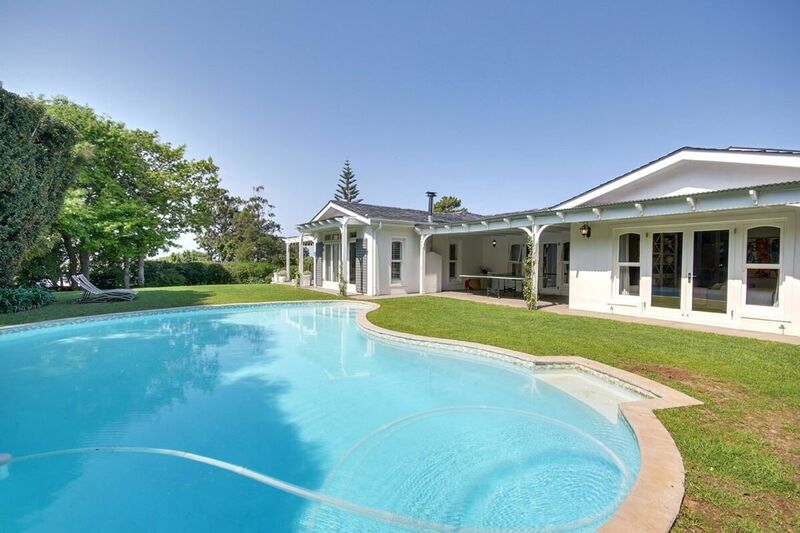 Rental and staff for the property are R 58 000 per month.